This year I want to make more art quilts, including representational quilts. I’d like to experiment with using various printing techniques for surface decoration. I’ve been collecting some ideas and a few photos. I might start with a winter piece. I made one art quilt, the small lobster trap one, where I learned a new printmaking technique. I did buy some fabric paints and markers, collect some leaves, and look at a lot of inspiration quilts. 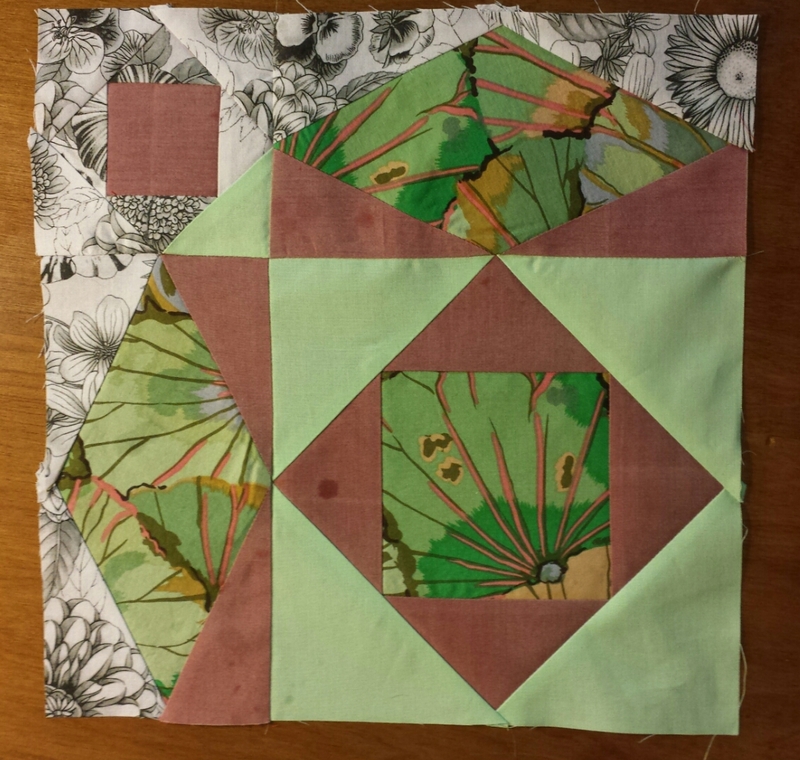 I want to quilt the Slow Quilt, and if I’m happy with it, consider entering it in show. Nope. Just didn’t get to/want to do this. I have an idea for my own version of stack and whack that I want to try on a piece of fabric. Nope. I got over this one quickly. Think it’s been done. And I want to continue to reduce/turn over my stash. I’m not sure I can remove another hundred yards, though. I’ve already taken it down a lot, and I’m planning some very small quilts. I’m setting my goal at fifty yards, and if I do better than that, all the better. Fifty yards in ’15. Yes! I reduced the stash by 50.5 yards. I’m at the point where I don’t have many large backing pieces, and need to buy sometimes. 1. Sew a Quilt of Valor from stash. Yes! This one. 2. Order supplies for surface decoration on quilts. Yes, I orders paints and markers. 3. Design and make a winter-themed art quilt. Um, well, I’ve pulled some fabrics. 4. Deliver quilts I’ve designated for donation. Yes! 5. Audit Jinny Beyer BOM Craftsy Class. Not yet. 6. Complete Step One on Charlotte’s Scrap in a Box Mystery Quilt. Yes! Here. 1. Design and make winter-themed art quilt. No. Sigh. This just isn’t going to happen. I made the firescreen cover as a warm-up, but I have no interest in this quilt now. 2. Audit Jinny Beyer BOM Craftsy Class. Yes! Caught up on the instructions. Tempted to hand piece a block. 3. Complete Step Two on Charlotte’s Scrap in a Box Mystery Quilt. Yes! Don’t seem to have photos. 4. Piece and quilt Disappearing Four Patch with floral fabrics. Yes! And made a baby quilt from the scraps. Here. 1. Audit Jinny Beyer BOM Craftsy Class. Yes, I am almost caught up on watching this. And I sewed the first block. 3. Continue studio organization. Yes, I bought a vintage file organizer, and a couple more containers to go inside the lockers. 4. Begin nautical-themed art quilt. I worked on this, but don’t know what I’ll do with it. The photo wasn’t as good as I’d remembered. 1. Audit Jinny Beyer BOM Craftsy Class. Yes! All caught up. Haven’t made any more of them. 2. Complete Step Four on Charlotte’s Scrap in a Box Mystery Quilt. Yes! Here’s what the blocks look like. 3. Complete mug rug for Sandi’s swap at Quilt Cabana. Yes! Here’s what I made. 4. Assemble and quilt the scrappy log cabin quilt. Yes! It turned out **fairly** well. Right here. 1. Audit Jinny Beyer BOM Craftsy Class. Yes, all caught up. I’ve lost interest in piecing any, though. 2. Complete the top for Charlotte’s Scrap in a Box Mystery Quilt. Yes, on this post. Now I’m quilting it. 3. Assemble and quilt the pink and gray scrappy log cabin quilt. Yes! See it here. 4. Design and piece a beach-themed throw-size quilt. Yes, and quilted. It’s here. 1. Audit Jinny Beyer BOM Craftsy Class. No. Think maybe I’ve given up on this. 2. Quilt and bind Charlotte’s Scrap in a Box Mystery Quilt. Yes! Here. 3. Attempt a photo transfer technique for a Coastal wall hanging. No, but I bought the soluble stabilizer and the gel media. Our printer is on the fritz. 4. Assemble quilt blue and gold leaders and enders units into a top. Yes! And I’m quilting it! 2. Attempt a photo transfer technique for a Coastal wall hanging. Yes. First attempt. We’ll see. 3. Get another leaders and enders project organized so that it is available when I’m piecing. Yes! And wrote a note, because it will be months till this is done and I have no memory. Finish coastal wall hanging. Yes! All done, right here. Quilt and bind Christmas quilt. Yes! Here it is. Make a baby quilt from some floral scraps I’ve pulled together, probably D4P. Yes! This one. Work on UFO wall hanging. Yes! Decided to make it a quilt. The top is finished, working on the back. Piece and quilt Boxed Elephant baby quilt commission. Yes! Here it is. Quilt and bind Gold and Turquoise quilt. Yes! Turned out great. Piece top from Twilter Hashtag blocks. No, I was confused about this, and we won’t even get our blocks until this month. Instead I started the Droid Quilt Along on The Stitch TV Show. Have I kept up with it? No. But the back is made! Make new baby quilt with elephant scraps. No, there were no useful scraps from this. But I’m almost finished with a baby quilt made from the scraps from my Droid quilt backing. And I did that new Star Wars commission baby quilt. Finish the Droid Quilt Along quilt. Yes! 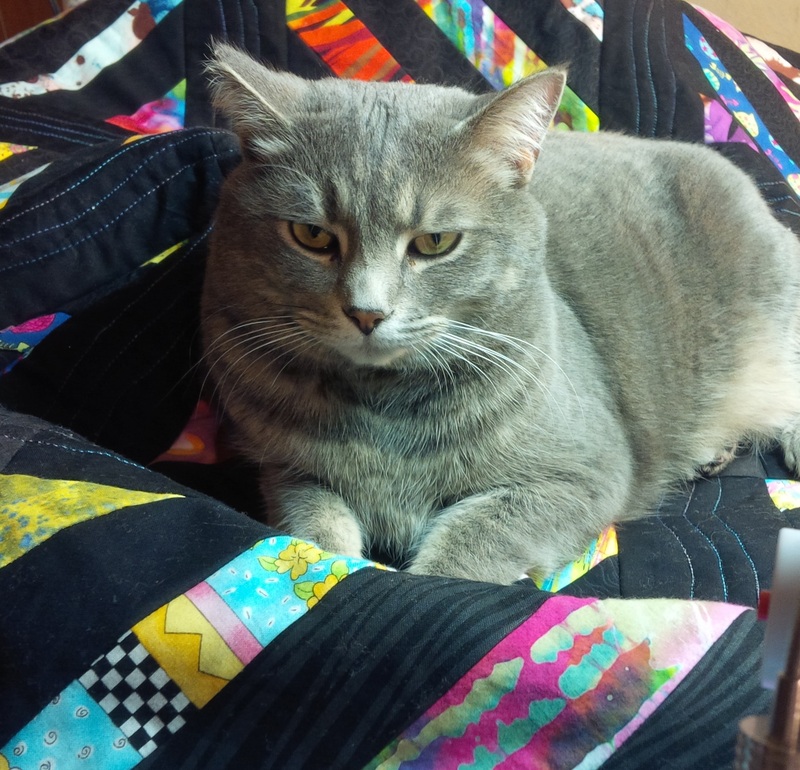 Make Aggie commissioned quilt. Yes! Make string blocks for Kat’s December Block Drive. Yes! Optional: Assemble Hashtag quilt top. No. But it’s on my design wall now.